Wow! Thank you all so much for your kind words about my freebie cards. I am so glad you liked them. I’m a huge fan of printable freebies and have been collecting them for years, so it’s nice to be giving back into the freebie world! 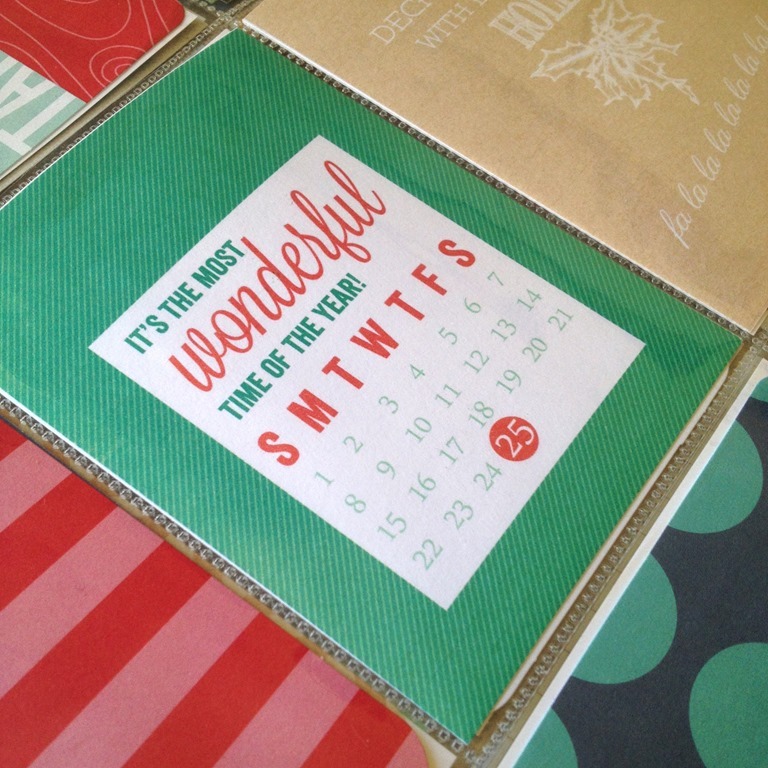 I’m being rather ambitious and am planning to bring you a new freebie each week until Christmas. 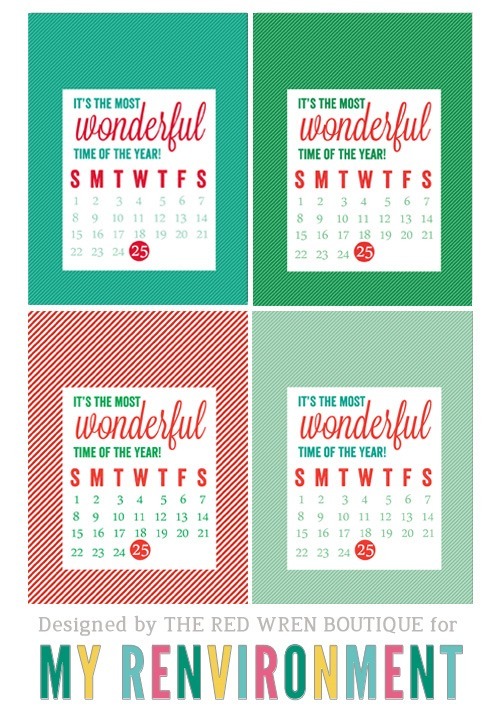 All freebies are made with Project Life style albums in mind, and will be Christmas themed. They won’t all be cards; I’m working on digi brushes, stamps, and overlays too. Today’s is another card I made for my own album. I’ve made six different versions of this, so hopefully there’s a colour combination that will work with your layouts. These are all very bright. I may release a more subdued set as a bonus later this week. I wanted something for my album that would indicate it was Christmas Day without too many whistles and bells. This card will be going in my Project Life album as the one going in my December Daily album will have whistles and bells. These are 3×4 inch cards in JPG. There are six files. Not pictured is another version of green/red, as well as a pinky red/teal that I’m still not sure about! I hope you like them! Feel free to pin then as a thank you! I really enjoyed seeing my last cards pinned in so many places! Awesome – thank you for being so generous! HI, I just saw these on the December Daily fb page, but when I go to download them, it’s just blank… Would that be because I have a Mac?? Thankyou so so much for sharing them anyway!! I’m looking forward to getting into mine when I get it!! That sounds a bit strange Ali. I wonder if the program I zip them with creates an issue in macs. I will email you. Super cool! Thanks and Happiest of Holidays to you and yours!